Axalta’s Research and Development efforts are aligned with customer needs, wants, and trends. Markevich said that the company is specifically addressing demands brought by new materials including multi-metal and new substrates; needs to improve the productivity and reduce the cost-to-apply our coating systems; and ways to bring innovative color and effects to meet consumers’ interests in changing trends. 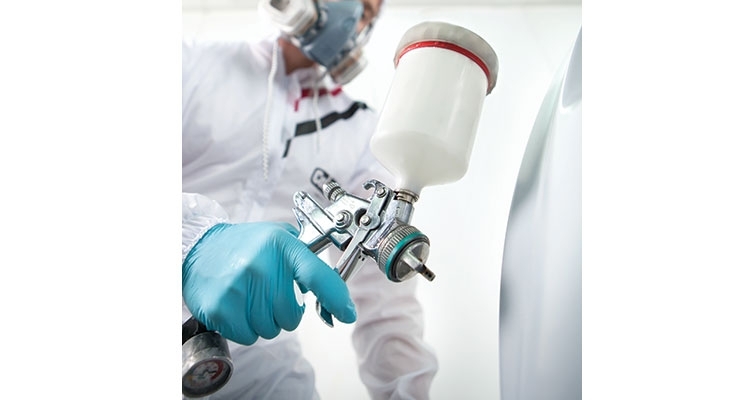 A multitude of factors – including increased overall vehicle demand, aging vehicles, environmental concerns, and increased infrastructure – are all driving forces behind the increasing demand for automotive OEM coatings. The report goes on to state that increasing vehicle production in countries including China, Mexico, Indonesia, Japan, U.S., South Korea, Germany and India along with aging of vehicles is a major driver for market growth. 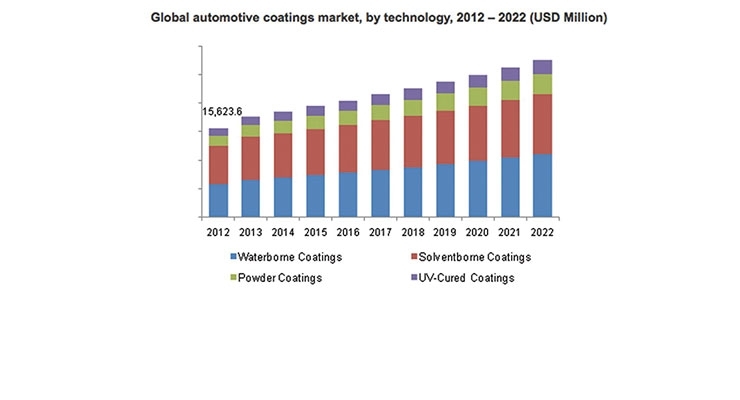 Accelerated demand for eco-friendly coatings including waterborne coatings, powder coatings and UV-cured coatings in emerging economies including China and Brazil is expected to propel automotive coating industry growth. In addition, the authors note, rapid economic growth, increasing government spending, advancements in road infrastructure coupled with increasing inclination of consumers towards personal conveyance are expected to propel market growth. 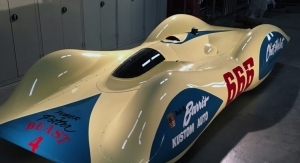 Researchers expect that the Asia Pacific region will lead the automotive coatings market through 2022 due to increasing joint ventures among various key participants and local manufacturers in the region. To quantify this growth, Grand View Research found that the automotive coatings market is expected to reach $27.69 billion by 2022. Global automotive coatings market demand was 3,769.2 kilo tons in 2014 and is expected to exceed 5,000 kilo tons by 2022, growing at a CAGR of over 4.5% from 2015 to 2022. • Basecoat was the largest product segment in 2014 and is expected to show rapid growth at an estimated CAGR of over 5 percent from 2015 to 2022 on account of increasing usage per vehicle as it imparts exterior aesthetics, color along with decorative effects. • Light vehicle OEM was the largest end-use segment in 2014 and is expected to witness significant growth over the next seven years on account of increasing demand for passenger cars in China, India, Thailand, Mexico and Saudi Arabia. Rising industrialization is expected to stimulate market for commercial vehicles, which is further expected to fuel market growth. • Asia Pacific was the largest regional market and is expected to witness swift market growth, at an estimated CAGR of 5.6 percent from 2015 to 2022, owing to increasing vehicle production in China, India, Indonesia, Thailand, Japan and Malaysia. Moreover, increasing government spending on road infrastructure is expected to spur market growth. 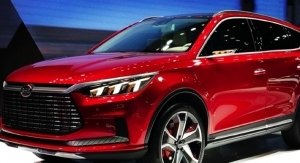 Steven Markevich, Axalta Coating Systems’ executive vice president and president, transportation coatings and Greater China, said that the global automotive demand has been growing approximately three percent a year which is in-line with global GDP growth. “As a global company serving the automotive and commercial vehicle markets, Axalta is taking advantage of that growth where it is occurring and, at the same time, investing for future growth in emerging regions,” Markevich said. Regarding high-growth regions like China and other emerging markets, Markevich stated that Axalta is committed to serving the global automotive market. Chris Toomey, SVP, BASF Automotive Coatings Solutions, North America, said that BASF sees growth in production in most global markets. 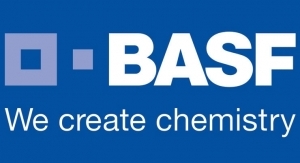 “BASF coatings has seen growth both from the market and through increased share. However, this is not a common picture globally. For example, production in South America has been reduced drastically,” he said. BASF’s focus on high-growth regions include the recent opening of a world-class resins facility in China. “We continue to invest to support the growth of our business in all regions. There’s strong growth in North America with significant investment by the OEMs. So, we’re expanding our capacity there as well,” he said. Ray Schappert, global director of product management, Automotive Coatings, PPG, said that his company’s automotive OEM coatings business continues to perform well. “The automotive OEM industry growth rate improved sequentially year-over-year and our automotive OEM coatings business continues to grow at a rate above the industry average,” he said. PPG, he added, has benefited from being well-positioned in China and other emerging regions, where it has taken advantage of customers building new greenfield plants, and converting to newer paint shop technologies. “PPG’s position as a leader in many of these technologies has allowed us to grow in high growth countries with some of the most successful car makers. Automotive OEMs are looking for technologies that solve problems and differentiate their vehicles in the marketplace, said Markevich of Axalta. 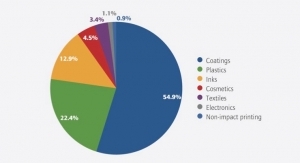 Trends driving coatings technologies today, he added, include environmental regulations, the need for productivity, overall outstanding appearance, and product attributes that consumers value such as durable trending colors and effects. “Emerging markets such as China are strengthening air quality regulations and employing tax policies to force improvement. This is driving waterborne and higher solids low VOC coatings into these growing markets. At the same time, these markets are becoming even more competitive. 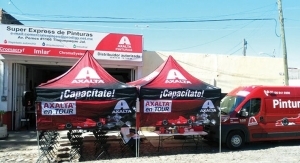 The result is that Axalta customers expect us to deliver greater productivity in their paint shops while improving quality and appearance,” Markevich said. Demands for increased fuel economy, he added, are causing many OEMs to consider new and novel methods of vehicle construction to reduce weight and improve mileage. “These changes impact materials selection and the assembly process -- indirectly affecting coating systems. The use of innovative materials – such as high-strength steel, aluminum, magnesium, plastics and composites – creates new challenges for corrosion protection systems as well as coating adhesion, final appearance and oven temperatures. Regarding the latest color and special effects trends, Markevich cited the company’s 2015 Global Automotive Color Popularity report, which found that white was the most popular globally at 35 percent overall (24 percent solid white and 11 percent pearl white). “Neutrals in total, including white plus black, silver and gray, made up 76 percent. The remaining 24 percent (roughly 21 million vehicles) include consumers who will pay extra and even switch brands to get the color they want. According to Toomey, of BASF, the key trends and technologies driving coatings are lightweighting, including the treatment of alternate substrates, the increasing use of effects and textures in color design, and adaption to manufacturing process improvements focused on product use efficiency and operating cost reduction. Paul Czornij, technical manager for the BASF Color Excellence Group, added that there is continued interest in combining texture and gloss with color to produce new color designs. “One example is matte clearcoat. Matte clearcoats were shown as coming trends several years ago and now they’re being seen on the showroom floor. “Functional pigments also bring another dimension to color. Heat changing colors is an example of this – colors that don’t get as warm in direct sunlight. 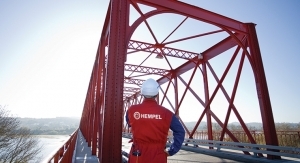 Environmentally-friendly coatings are also at the forefront of coatings technology. This includes using pigments that reduce the VOC of a coating by being easier to disperse or formulate with pigments that are made with eco-efficient processes,” he said. 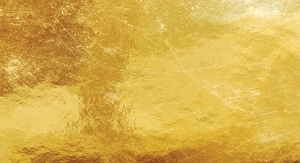 Czornij added that sophisticated, exciting colors, including those that use glittery effect pigments, are trending now. Also, colors are showing a much higher degree of saturation with a strong connection to consumers looking for rich, deep color positions especially in blue and red, he said. In 2015, to celebrate its 150th anniversary, BASF brought together the concepts of technology and sustainability and created four special anniversary colors that focus on how the look towards the future is optimistic and aesthetically appealing. In North America, the color is named Arjean, which is silver with a thin, bluish transparent film that glows in the grazing angles. In South America, Nightfall Blue is a blue, metallic with a special combination of colorants to bring depth and saturation to embody the oceans and sky. In Europe, where the color is called Solaric Green, the BASF designers created a green metallic that represents nature and sustainability with pigments that help the color stay cool on a sunny day. And, finally, in Asia, Fresh Mint was designed in BASF’s Asia studio and is a sparkling green that projects freshness and environmental stewardship. Czornij added that BASF will introduce its future color ideas and technologies at our Color Trend Show this Spring. PPG’s Schappert said that his company sees a variety of trends, which is where it is focusing its research and investments. One example, he said, is the demand for color. “Color science has come a long way,” he said, “and coatings offers customers a way to differentiate themselves in a meaningful way. “A key driver for research and development investment is in the area of sustainability specifically in water utilization and energy reduction. Water reduction in the paint shop is one example of manufacturers focus especially in emerging regions such as Mexico, Brazil and China where water resource can be a premium. 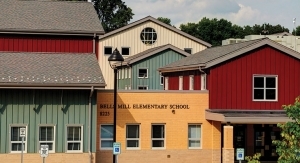 PPG contributes to solutions that achieve significant savings and conservation goals. The company’s ZIRCOBOND pretreatment cuts water use, waste and energy costs - it can save the average North American assembly plant 16 million gallons of water annually. Schappert added that, as automakers continue to look for innovative ways to enhance fuel efficiency, PPG’s products help customers make lightweight vehicles that meet environmental requirements. “OEMs are using more lightweight metals for auto bodies and auto body components. PPG works in partnership with our customers to offer solutions that allow their paint shops to adapt to this more complex environment, while ensuring continued quality and colorful finishes. Projects include new pretreatment chemistries that allow the utilization of greater amounts of aluminum on the vehicle. In addition new adhesive technologies are being developed that allow the joining of the new lightweight substrates such as aluminum and carbon fiber reinforced plastics,” he said. Research conducted by PPG found that nearly 60 percent of consumers identified color as a major factor in their vehicle-buying decisions, and automakers continue to sell a vast majority of cars (nearly 75 percent) in conservative colors such as white, black, gray and silver. According to PPG’s global build data, white was the most popular color (up 7 percent from last year to 35 percent), followed by black (17 percent) and silver (12 percent). • In North America, white remains most popular (23 percent), followed by black (19 percent), gray (17 percent), silver (15 percent), red (10 percent) and blue (8 percent). • In South America, white leads in popularity (36 percent), followed by silver (31 percent), black (11 percent), gray and red (tied at 9 percent each), and blue (2.5 percent). • In Europe, white remains most popular (31 percent), followed by black (18 percent), gray (16 percent), silver (12 percent) and blue (9 percent). • In Asia Pacific markets, white remains most popular (44 percent), followed by black (16 percent), natural and silver (tied at 10 percent each), and gray (7 percent). In research that PPG conducted among consumers in the U.S. and Europe, three in five respondents (59 percent) said color was a major factor in their vehicle-buying decisions. In fact, more than half of respondents said that if the color they wanted was not available on the lot, they would wait for it to become available before finalizing their purchase instead of purchasing a vehicle in a second-choice color. 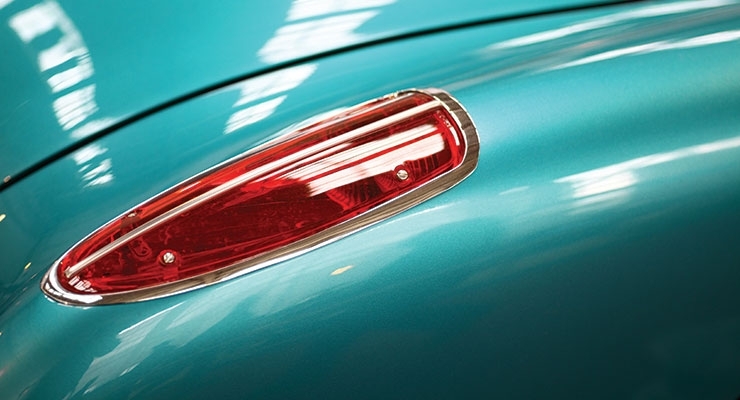 PPG’s research also indicated that metallic colors are more popular among men, while women show a preference for solid, single-color non-metallic-looking gloss finishes and pearlescent/colored sparkle effects. Furthermore, PPG found that automotive color and appearance are especially important among style-conscious male consumers ages 18-39, with respondents saying that they want a vehicle to exude an image of success and in many cases would be willing to pay more to own a vehicle that adequately reflects their personality. The basic requirements of protection, decoration and durability remain, said Markevich. 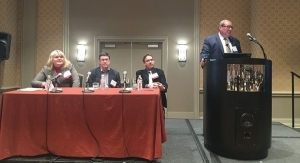 “However, the challenge to maintain and improve continue to evolve uncovering opportunities for coatings companies with the ability to innovate,” he added. “Axalta is celebrating its 150th year in coatings business, and some of these expectations haven’t changed in as many years. For OEMs, the fundamental requirements are product availability, consistent product quality that meets specifications, and world class service – all offered at a competitive price. This expectation is true wherever the customer is producing vehicles. Car owners, however, are looking for long-lasting beauty and easy maintenance. “While 150 years is something to be proud of, alongside our customers we continue to look forward. For Axalta, that means focusing on continually improving our current product portfolio and anticipating future coating needs whether driven by regulation, changing consumer expectations, or the continued evolution of vehicle architecture that comes with new technology,” Markevich concluded. Toomey, of BASF, said that customer coating performance needs are relatively simple. “Our customers want reliable quality, great colors, with an excellent car finish coming off the line and production on the line to be very efficient,” he said. Driven by a strong move towards sustainability, vehicle body design is going through a radical change. In response to this, Axalta Coating Systems has been looking at ways to meet the challenges that these new lightweight materials are presenting. Increasing pressure from regulatory bodies has been put on the automotive industry to move towards more sustainable materials and processes. Over several decades, regulatory requirements, such as reduction of organic solvent emission, overall CO2 reduction and increased fuel efficiency, have prompted the coatings industry to develop new, ecologically sustainable coatings, like high solids or waterborne materials, and consolidated systems such as primerless, two-wet or three-wet systems. In order to reduce the overall weight of the car body, the OEMs want to increase the usage of lower weight materials, including aluminium and magnesium and polymeric substrates. Paint shop processes and materials need to be adapted accordingly. In the case of polymeric substrates, the baking temperatures for the coating hardening processes need to be lowered. The lightweight materials help to cut down CO2 emissions in the paint shop, as energy consumption can be reduced when using low bake materials. These materials also offer enhanced styling capabilities due to new opportunities in part and vehicle geometry. 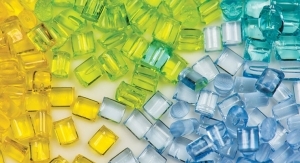 The possibility of on-line and in-line coating of body and plastic parts means there is an opportunity to improve color harmony and to simplify the supply chain complexity. However, these lightweight substrates will create challenges when it comes to coating technologies. For instance, new adhesion processes need to be developed, which can impact on the baking of adhesives and coatings. Long-term durability and re-coatability of lower bake systems must also be ensured. Overall appearance of the final finish, which may cover various different substrates and lines, must be harmonised. However, there are already some solutions in place for low bake coatings. These include well-established processes with a multitude of technologies and substrates used for: automotive plastic parts, heavy duty trucks that require an increasingly demanding appearance and high quality levels from low bake primers and topcoats, and specialized OEMs where low bake mixing systems provide small batches of customer-specific ‘tie colors’. 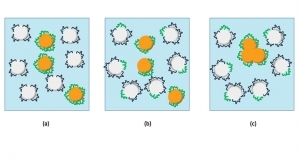 Nevertheless, additional solutions and processes are still needed to meet the challenges presented by the newly-created, diverse mix of substrates. Of the various paint technologies feasible for low bake systems, each has advantages and challenges. With UV curable systems, the bake window can be brought down to ambient temperature, but there can be problems from radiation shadow zones. These may be avoided by mounting UV lamps on robots that can reach all areas and ensure proper curing. This solution could be used in combination with a three-wet or primer-less waterborne system, offering the opportunity to reduce overall clearcoat oven length by up to 70 percent. Other crosslinking technologies, such as 2K Epoxy Acid, 2K Acrylic/Melamine with unblocked catalyst or 1K Acrylic/Melamine with blocked catalyst, have the potential to reduce bake temperatures close to the target but can have other issues, such as stability or technological properties with these curing conditions. So far, the leading cross-linking technology for low bake coatings is 2K Polyurethanes. Another option is the (Poly) Aspartate chemistry, which is accessible through a straight-forward synthetic procedure. It shows promising results in achieving very good technological properties like durability and chemical resistance, even at ambient curing temperature through very fast cross linking reaction. This also gives the possibility of formulating higher solids coatings to combine the benefits of lower bake and lower solvent emissions. Last but not least, there is another challenge in lowering the curing window for electrodeposition coating, as there will still be significant metal components in future body design. The route to lower bake ED coatings can be described in three developmental stages. The first is a target bake of T max on the exterior at 180oC, which would mean minimum required temperatures of 165oC -170oC. This could contribute to energy reduction in the paint shop. Axalta has had positive results based on current commercialised Aqua EC4027 technology with which it has achieved good solvent resistance and corrosion results down to 10 minutes at 150oC. The next stage in development could reach the temperature area (T max = 140°C) enabling on-line coating of specific plastic parts – in other words, metal and plastic pasts can be run through the ED bath and top coated on-line. Here there is the need for new cross-linking chemistry and a significant development of process and materials. The issue of higher temperature requirement for bake hardening steel would also need to be addressed. The potential benefits of a further reduction of ED baking temperatures, down to 80oC -125oC for instance, would need to be proven – this would, however, be a longer-term development process. Lightweight body design will inevitably driver further innovation in the area of low bake coatings, materials and processes. And while some technology is already available, more is being developed that will address the challenges that the new materials present. The critical next step will be further integration of single solutions - materials, processes and application - in real mass manufacturing environments.